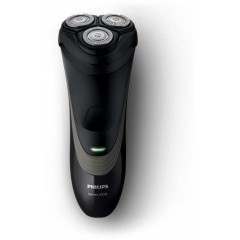 The Philips Series 1000 Dry electric shaver offers convenient shaving at an affordable price, but with high-performance like a high-end shaver. 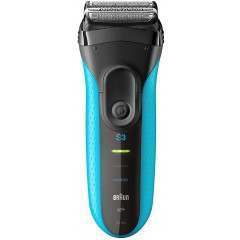 4-directional Flex Heads combined with a CloseCut Blade System will guarantee you clean, close and smooth results every time. 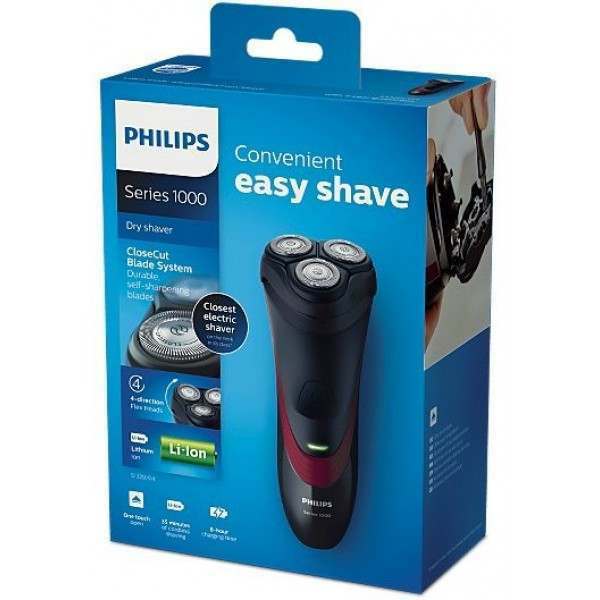 The Philips S1320/04 Series 1000 Dry electric shaver offers convenience and smooth reuslts with an affordable price tag. 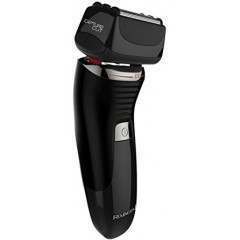 With an array of high-performing features, this shaver is ideal for those looking for a grooming tool that will guarantee the results your want. 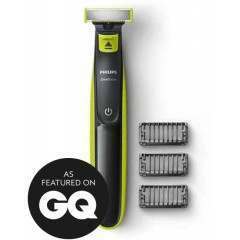 The durable CloseCut blades sharpen themselves as they work, time after time, providing an effortless shave every time with long-lasting results. The Philips Series 1000 boasts 4-directional flex heads which have 4 independent movements which adjust to every curve of your face, giving you an easy shave, even on the neck and jawline. 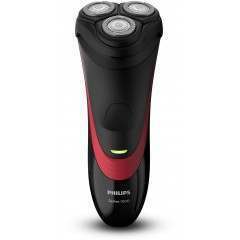 Thanks to the shaver's powerful and efficient lithium-ion battery, your shaver will keep going as strongly as ever for years to come. 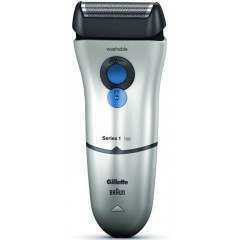 An 8-hour charge will provide 35+ minutes of shaving time, which is around 11 shaves and operates only in cordless mode. 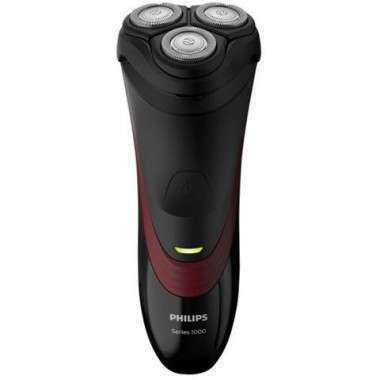 Open the shaver head by pressing the button underneath, then use the cleaning brush to sweep away loose hairs for a as-good-as-new shaver once again. Arrived safely within the three days. 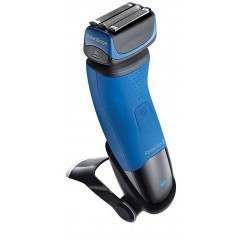 Really happy with shaver which has replaced Philips shaver I have been using for 40 years. Well, I must say I was very surprised at the speed of the deliver, and the regular update on my product delivery was just perfect. The product is as described on the site and I am very happy with what I have had from this order and a very positive experience from this seller. thank you and I will be ordering more from you. Good stuff. It well fits the description given for the product.